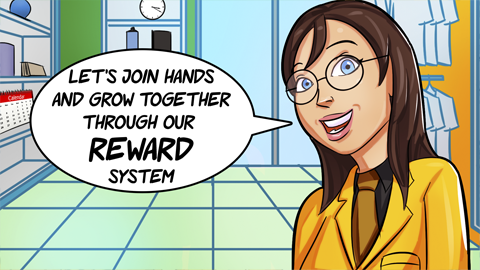 What are the Reward Points and How are they beneficial to the users? This is a Grow Together Program, under which anyone can earn the reward points (100000 Points = 1000 AED) and these reward points can be utilized for any purchase from our store, or can be converted into equivalent amount of cash. Cash can be availed after reaching AED 1000 mark. 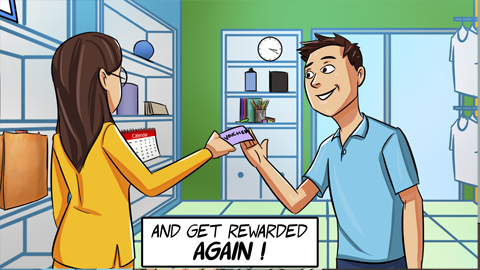 How many ways can a user earn the reward points ? 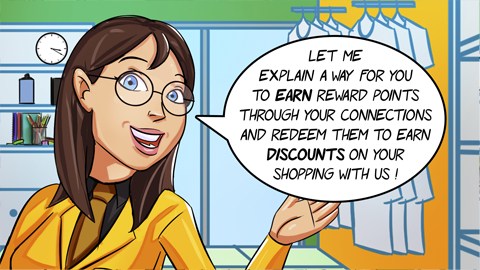 A user can earn the reward points by the following ways. 2. 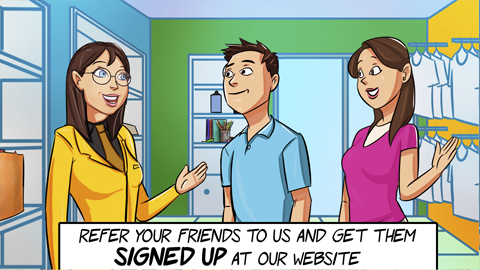 Refer friends and make them sign up. 1st friend's signup : 500 points, 2nd friend's signup: 1000 points, 3rd friend's signup: 1500 points, 4th friend's signup 2000 points, 5th friend 's signup 2500 points. 3. 1500, 1000, 500 points can be earned from your referred friend's 1st, 2nd and 3rd purchases respectively. 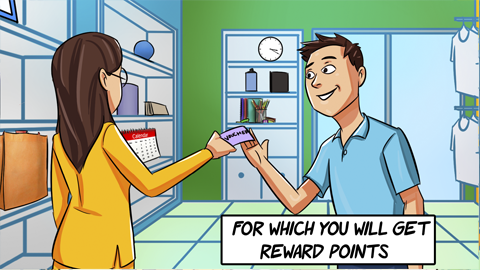 Do I need to place an order in order to apply for earning the reward points ? 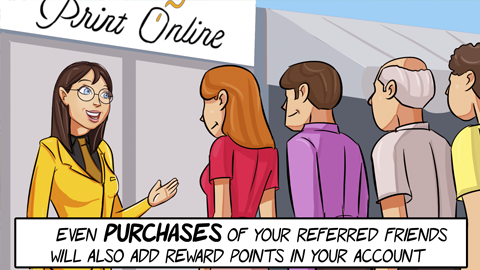 No, You don't need to place any order to be eligible for earning the reward points. Any one who has signed up at our website can use this facility. What is the maximum discount can I avail on one shopping using the reward points ? You can avail upto (max) 100% of the cart value for 1 shopping, balance points will be kept in account for the future use. Is there any expiry date for the reward points ? Yes, Reward points expire in 1 year, if not used. How do I keep a track of the Reward Point Account ? You can see the complete account details for your earning and all activities of your points under your MY ACCOUNT section, it is a complete transparent software system. What is Virtual Designer/ Real Designer/ Live Designer Support ? After understanding the requirement of Designing issues in this industry, we have come to know that the customers are best satisfied when they sit by real designer and get their designs made as per their custom needs. How can we use Virtual Designer for our product design? Do we need to visit your place and sit by real designer? No, you do not need to visit anywhere anymore, You can avail this wonderful facility sitting at your own convenient place, only thing you need is your own computer or mobile with internet. We will make you watch your design being made live which will be being made by our real designer, the designer's computer screen will be shared with you on your device, simultaneously you can talk or chat with the designer to control your design while watching the design. Is the Virtual designer's support for unlimited time? The free support is available for 1 hour per product, which is a reasonable time for most of the products. What if the designer is not able to complete the work in one hour, or satisfy us with his design, Can we get a refund? Sorry, we don't have any refund policy in this case, this is an added customer service which the order should not be relying upon or alternatively you can buy extra time for virtual designer support from this link, or you can submit your own design if you are not satisfied with our designing services. Can we avail the Real Designer's free facility before making the payment? No, as the designers are really busy and over occupied, we are unable to give this facility before receiving the payment, this increases convenience to the serious buyers. Alternatively, We also have a paid virtual designer's service available in case if you don't want to go ahead without the artwork is complete, in which you are able to get your design made before placing the order with a nominal cost. How fast do your designers respond? A) The instructions, data or images provided by the customers are not appropriate or clear. B) When the customers do not respond in 5 or 10 minutes (the designer has to switch to some other job). C) If customers expect creative designs and has very high expectations for their designs, kindly note that we do not provide creative design services or logo creation services. Our designers work on your instructions and will not be able to suggest you or think to make the designs on their own. We highly recommend you to supply your print ready artwork if you have any such requirement. D) If our designers are very busy. PrintOnline.ae will not be held responsible for any delay in the final delivery if the artwork supplied is not print ready. Kindly note that our designer’s services are free of cost for our 99% products. 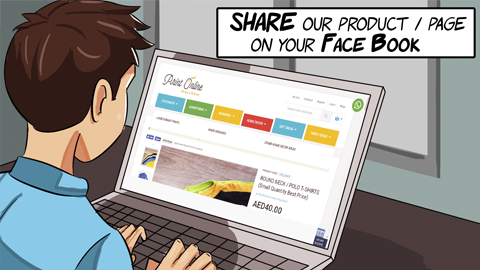 You can select the product of your choice, make appropriate selections from the options available, select the required quantity, then you can either select DESIGN IT(if you want to design on your own) or you can UPLOAD your FILES (if you either have print ready files or want Printonline.ae's designer's free support) and then make the payment and checkout. What if the order that is given by me, has not turned up the way I imagined ? Printonline.ae has their own quality control standards which is influenced by their own goodwill, and the goods are branded as per the highest standard available to Printonline.ae. If a customer is very much concerned about this then the he/she can always order the smallest quantity available before going ahead with full quantity and after being satisfied he/she can always give big quantity orders. 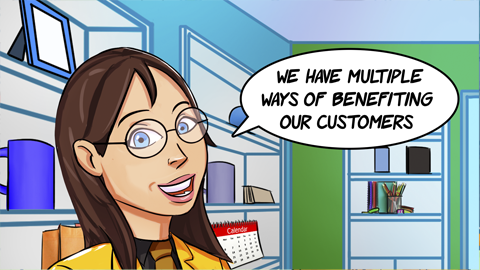 What if the colors are not matching to the customer's satisfaction? Customers must discuss this with Printonline.ae's technical team before placing any such order in which color precision is required. Usually all screens have different color settings and screen colors and printed colors don't match precisely, this is a world wide limitation. Will the order be reprinted free of cost if the order a customer received, has some errors in spelling, Tel. Numbers, Colors, Logos or Size etc.? It is a must do thing for any customer that he/she checks all the content, data, numbers, logos, colors, size or any other details of the artwork before the approval is made. When the artwork is made by Printonline.ae's designers then Printonline.ae's responsibility towards the errors is assumed to be over once the approved artwork is printed. Printonline.ae can only reprint the job if the approved artwork is not printed. What does "Approved Artwork" mean ? An artwork is considered to be approved once... a) Printonline.ae has received print ready files from customers then the provided artwork will be considered as approved, Printonline.ae can always ask for the approval against confusion, if observed, then in that case the final approval will be the approval which takes place in this stage. b) When a customer says "OK", "CONFIRMED", "APPROVED", "GO AHEAD" "PROCEED" or any synonym of these words, that will also mean that the artwork is approved. What if I do not like the quality of the printed product as per my expectations? Will there be a refund? 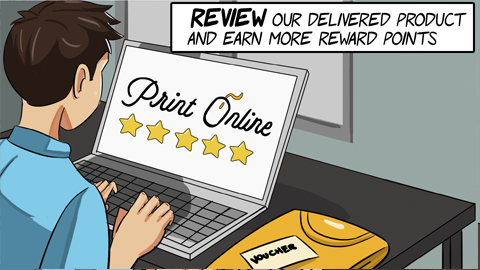 Our job is to print as per the order placed and artwork approved/shared by you. Your expectations and imagination of the product can not be passed to the production team and also there are technical limitations as well. The cost will already be incurred in making the product once and hence a refund will not be possible. For example, you opt for a buffet in a restaurant and do not like the food yet the payment is applicable. Like buffet, the products on our website are for generic usage, not for 'high-end quality expectation' clients. The quality of the print will be the best with the technology and methodology (selected by you) which we use but if your requirement is very niche or specific (Not Generic) then we request you to not use an online platform for such requirements to avoid inconvenience as there is a gap between your imagination/expectation and the production/technical team. How trustworthy is your site / business? We understand your concern and we can assure you that we have invested more than 6 years to create a portal as convenient as PrintOnline.ae. For us an order of a dirham has equal importance as an order of 1000 dhs. We have 20+ years of experience in the UAE and we understand the needs of people very well here. To gain our trust, we advise you to try us for small orders first and get the taste of our service. Do I need to pay separate delivery charges for each product ? No, One Shopping Cart has one delivery charge, you can include as many products as you want in one shopping cart , but delivery charges are fixed and one for all. Kindly go through the terms and conditions thoroughly. What if I want to pickup delivery from your location instead of having it shipped from your side? We are not having this option available as of now, the delivery has to reach you in the pattern avaiable at the moment. What if I don't get delivery in the time specified for the product ? Usually this does not happen, Printonline.ae will dispatch the delivery in time, it takes apx. one working day to reach the customer after the dispatch. If at all, due to any unavoidable circumstances which are not in Printonline.ae's control, the delivery gets delayed in production, Printonline.ae will keep the customer updated and if you are not satisfied with the new schedule then the full money will be refunded, including the delivery charges, no other greater compensation can be granted. We currently only ship to the all the 7 emirates in the U.A.E. However if you would like your product to be delivered at a foreign location, you can contact us through Live chat support and we'll help you get it shipped for a small extra fee. You can track your order through your account or chat with us anytime. We'd be happy to help! What if I have ordered more than one item in one shopping cart, will I get the seperate deliveries as per the delivery time declared in the product options? No, One shopping cart items will be delivered together in one shot, in this case the goods will be shipped as per the product wich has maximum number of days allotted for the delivery.